Saloni Marwah from Delhi, BBA Graduate. MARKETING HUMAN RESOURCE MICROSOFT EXCEL RETAILING TRAINING DEVELOPME..
are one of expert skill area's of Saloni Marwah . 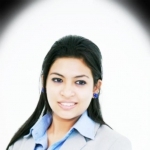 Saloni Marwah is working in Human Resources industry.